The modern lifestyle with its drastic changes in the way we eat and move puts pressure on the homoeostatic system responsible for the regulation of body weight, which has led to an increase in overweight and obesity. The power of food cues targeting susceptible emotions and cognitive brain functions, particularly of children and adolescents, is increasingly exploited by modern neuromarketing tools. 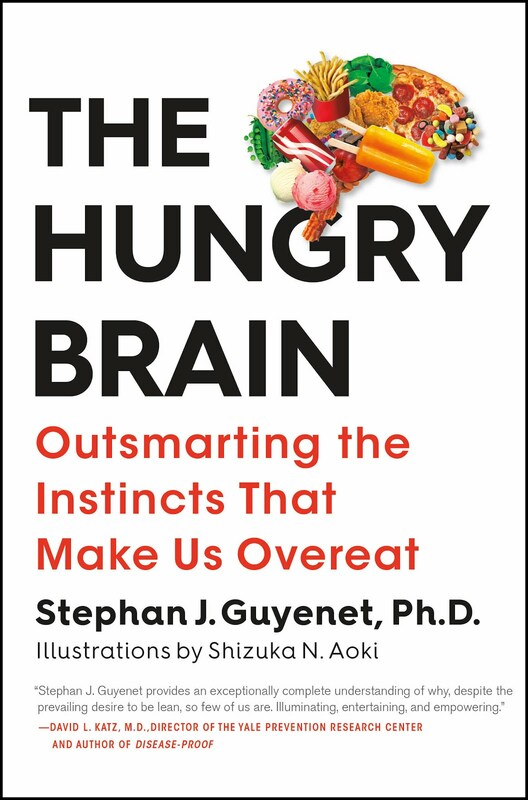 Increased intake of energy-dense foods high in fat and sugar is not only adding more energy, but may also corrupt neural functions of brain systems involved in nutrient sensing as well as in hedonic, motivational and cognitive processing. Clearly, appetitive drive and food intake are affected by signals from inside the body and the environment, and the latter are exploited by the food industry through the newly established field of neuromarketing. Although these techniques would be just as powerful to stimulate eating of healthy foods, not much effort has been made towards this goal. Environmental signals affecting food intake interact almost exclusively with corticolimbic brain areas involved in cognition, emotion, motivation and decision making. These systems, although modulated in a bottom-up manner by metabolic signals, can exert strong and overpowering top-down control of food intake and energy balance regulation, as demonstrated by eating in the complete absence of nutritional need. It's an awesome time to be studying the neurobiology of obesity! When I was a kid in the 60s there was no fat-phobia and no sugar-phobia. We ate white bread, butter, bacon and eggs, cornflakes, jam, trans fats, lots of white sugar, fish and chips cooked in dripping, boiled sweets. Energy density, even from refined carbs, didn't result in a very high rate of obesity back then. There was one fat kid in my school. The growth of obesity in my country actually did coincide with the advent of the US fast food franchises. Food cooked in vege oils, more variety of grains, less smoking. More airconditioning in homes, cars, work and overall elevation of ambient temperatures. Much cheaper soft drinks (sodas), in much larger servings. Smoking? Good for you, my friend. It looks like Dr. Hans-Rudolf Berthoud studies a very narrow area - the rise of obesity in modern Western society during last 30 years. The marketing of modern food explains, probably,the ricent rise of the obesity , but not the obesity itself because obesity also exists in societies without fast and frozen foods among population of people who do manual labor. Modern food sure makes the situation worse , and people who are susceptible to fatness get fat earlier in life and store more fat than if they would be living on self-cooked meals. However, there are plenty of individuals around who seem to be immune to the "obesogenic environment". Well, famous Kitovans smoke. Sometimes I wonder why paleo community ignores the fact that many primitive groups of people used some interesting substances on daily basis. I am not about to start smoking, but it sure has some slimming potential. I am completely convinced regarding that perspective. Now how does that knowledge guide us in developing effective interventions? Stephen have you seen this paper, its free full text and worth a read if you havent. I can see advertising playing some role in generating homeostatic problems with neural body weight regulation, but what about obese populations without food advertising? I'd be interested to see what "new" foods entered their diets during the transition from leanness to impaired cardio-metabolic health in the absence of any overt environmental marketing/external neural disregulation. Very nice Stephan. I think that the involuntary body weight regulation system can be tampered with by us. We can thwart it. I think this will eventually drives the set point up. Everybody healthy has the responsibility to eat nutritious and make sure they are not laying around - whether they be thin, obese, slightly fat or muscular.These are the fundamentals. Once the thermostat is set higher, it's hopeless UNTIL we somehow gradually lower it over several years. However,i speak as a person who is not obese and never striggled with true obesity. I realize my situation of a slight weight gain over time is different. But I did consiuder how the body weight regulation thermostat MUST be lowered to work WITH our bodies. eat less and move more etc. and dieting are working against the body. A soda a day less,slighty smaller dinner , plus fun activity, standing when you can etc. probably can help at least those who are moderately overweight to lose about 10 pounds. I recommend losing 10 pounds in a YEAR. This way I think the thermostat MIGHT be lowered. Doing things super slooooow.I think if we lose weight over 3 years and VERY slow the set point MIGHT be lowered. My 12 pounds have not returned since 2008. Do you believe that the effect hyper-palatable foods have on brain chemistry can cause ADDICTION? Because I believe I may be a “baked goods” addict and am not sure why. As crazy as this sounds, I truly believe that I became "addicted" to baked goods in college in a single day. The addiction occurred overnight, made me fat and miserable, and I still struggle with the effects ten years later. This is a long comment but I really wanted to know your thoughts on this issue and am sure I am not the only one with this problem. From birth until 18 I had always been pretty lean and athletic and could eat whatever I wanted, including baked goods. However, something changed, permanently I think, midway through my freshman year of college. One day, during the cold, dark of a February in Virginia, a friend gave me a miniature chocolate cake for my birthday (the kind you can get at any Kroger for 7-8 dollars). No big deal –right? I’d eaten cake dozens of times in my life without suffering any long-term negative effects and was, then, super fit and lean. Yet, for some reason I still cannot fathom, this time was different: I had a few bites and felt something "snap." The pleasurable sensation was overwhelming –I ate the whole cake (which I had never wanted, nor done before). I assumed that this was a one-off event (like a bad, frat party with vodka that occurs once a year). However, the next day I woke up with a deep, constant craving for baked goods that I could not quell. I became addicted to these foods. For the next 3 months, I binged on cookies, cupcakes, rice krispies with peanut butter and chocolate (all foods containing high sugar, starch and fat) and went from a super fit/muscular 165 lbs. to a sluggish/atrophied 198. I did this all while still trying to exercise and not drinking any alcohol. This was not the common “freshman fifteen” from too much beer. Everybody was disgusted with me: my fraternity brothers, family, girls who were interested in me only months before, myself.... No one could understand how I could have just "let myself go" to such a degree. Nor could I.
I'm still trying, ten years later, to understand what the hell happened. I didn't want to get nor liked being fat - I was tired all the time, mentally foggy, insecure about my sudden sharp increase in body fat, slow on the squash court, and missed the female attention. Yet it happened anyway. Why? Why did I suddenly become an “addict?” I had never had any real problems with controlling intake of these foods nor my body fat percentage before. So why now? The strange thing was (and is) that any of these ingredients, in isolation, would not trigger cravings nor cause me to binge. Straight sugar (as in Coke) was not appealing. Neither was straight starch (potato, bread). Nor fat (fatty meat, butter). But the combination of all of these sent my mind reeling – I got a pleasurable sensation from cookies akin to the buzz from alcohol and, according to friends, cigarettes. I finally fought off the addiction 5 years later and have dropped most of the weight but baked goods are still a "trigger" food for me and I can see myself regaining the weight if I eat too many of them. Therefore, I limit my baked-good consumption severely to only once-a-week. However, last Saturday, I had a freshly baked chocolate chip cookie from a fabulous local bakery (you know the kind- buttery, rich dark chocolate, salted on top…) and nearly fell over in the street while walking home from the bakery because it tasted so good. Why would someone's homeostatic mechanism of food/fat regulation suddenly break like that? The addiction came on incredibly quickly (reminds me of crack addicts becoming addicted after a single use) and is still a problem for me (I have to avoid baked goods like the plague). Any thoughts with this n=1 experience? Robert, it will be interesting to read what Stephan says about your baked good "addiction," but my conclusion is that your college buddy must have poisoned your birthday cake! I'm also thinking that this birthday cake wasn't just made out of sugar, flour, butter, chocolate, and the usual "real food" ingredients. Especially if it was a cheap Kroger cake, it probably contained several "non-food" flavor enhancers that may have triggered your addiction. Question: What is an "acellular" carbohydrate? I have a problem taking to the heart all that crusade against manufactured foods and food addiction because it doesn't match my personal experience, the experience of my family members and experiences of many immigrants I know who came to live in the USA in mature age and were unable to find manufactured food particularly appealing, only convenient. There are even flavors people can't get used to if not exposed to it from an early age. There are some examples - wintergreen candies, Dr.Pepper, Root beer, Oreo cookies. There are several people I know ,me included ,who eat for a while portion-sized frozen meals (I used to take it to work for couple months when I was interested in counting calories), but after some period what initially tasted fine became impossible to eat. My own son can't eat cafeteria food any longer after he did it for one year in university. If manufactured foods are so addictive, the addiction effect should be more universal and less individualized. I just saw the comment of the person who almost passed put after eating a cookie with chocolate chips. For me it is an over-sweetened concoction with too strong flavor, I would prefer a cookie with less sugar and some nuts, preferably not peanuts, I don't like chocolate chips in cookies. I think sugar+fat+flour combinations taste better with fewer ingredient. Actually, I have not been eating cookies for 5 years(I don't miss it), donuts probably for 10, it makes me a dilettante for such discussion. Thanks for sharing your story, that's interesting. Common obesity is probably not usually a state of food addiction per se, but food addiction is real and affects a few percent of the general population. It's a spectrum though, and most people feel the 'pull' of hyperpalatable foods even if they aren't truly addicted. Baked goods are some of the most hyperpalatable/rewarding foods because of their properties: energy dense, sweet, fatty, soft texture, low fiber, no bitter or off flavors, and a nice aroma. This is true whether they are made by a large corporation or at home. It doesn't surprise me at all that one could become addicted to this stuff. A logical approach would be to treat it like any other addiction: avoid eating, being around or even seeing or smelling baked goods as much as possible. Don't go into a situation hungry where you know you might encounter baked goods. David Kessler talks about these approaches in his book "The End of Overeating". I hear what you're saying. There are multiple factors in obesity and processed food is one of them (probably the main one in the US in my opinion). That being said, you can produce food in the home that is just as hyperpalatable/rewarding as commercial food if you take the time. Pies, brownies, sweetened teas, etc, are probably just as bad as commercial equivalents including sweetened soda. I think a good case study is the Amish. They make almost all their own food from scratch, but at least some Amish groups have obesity rates similar to the general US population. But if you look at what they eat, it's lots and lots of white flour and sugar baked goods (they love very sweet pies for example). Interestingly, despite their obesity, they have lower diabetes rates than the general US population, and it has been said that this is due to the exercise they get. Yes, Amish people are an interesting example. Thank you for the book suggestion, Stephan. I will check it out. alcohol is one example of a drug where serious addiction (rather than abuse) potential is restricted to a particular phenotype. About 1 in 5 people cannot become addicted to nicotine. Many people are averse to the effects of amphetamines or opioids, yet others become hooked quickly. @Robert, if you ever see a copy of "Not All in the Mind" by Richard Mackarness scoop it up. I am one of people who was unable to get hooked on nicotine when I used to smoke while being young. I chain-smoked for years yet quit on a whim every so often without a second thought. There was appetite for tobacco, which was all or nothing, but no withdrawal symptoms or cravings whenever I stopped. Ever. There is something else you could try. Make your own baked goods, using only unrefined ingredients. Wholemeal flour, dark brown sugar, unrefined dark chocolate and butter. Nothing refined or artificial at all. You may not like the result, but it won't be as bad as no baked goods at all. You could try eating so much you feel sick. I think this is called aversion therapy. The point is that if it's unrefined, it can't do you any harm. Here's another quote from the Berthoud paper. So Berthoud thinks palatability may be less important than empty calories, which might be addictive. But then he talks about 'eating in the complete absence of nutritional need'. I suspect he hasn't thought this through properly. Obviously, there IS a nutritional need, for the nutrients removed from the empty calories. If the brain needs these nutrients to make its owner stop eating, empty calories would be addictive. I think Dr. Berthoud meant "mindless eating" when we're not truly hungry and have no real need for nutrients. The kind people might do in front of a computer or a T.V.or out of boredom etc. Doing this wil all calories is not helpful, but it is especially bad to do it with empty calories. I went on a fast to lose 20 lbs. It took me 7.5 days. At the end of the fast I ate two meals per day. Each meal consisted of very normal portions of food. In 6 days I gained all of the weight back. According to calorie theory I would have had to have eaten an equal amount of calories to match my daily metabolic expenditure PLUS enough calories to gain 20 lbs. in 6 days. If anyone is under the delusion that gaining 20 lbs. in 6 days is likely due to caloric consumption, I invite them to try such a feat. After regaining the 20 lbs., my weight dropped back a couple pounds and pretty much stabilized for the next month eating two meals per day. Calorie theory would have required that I eat an impossible amount of food (for me) to regain that weight in 6 days. If someone wants to fast long enough to lose 20 lbs. and carefully track their calorie intake after the fast, they can verify that calories alone do NOT explain the weight gain. There is something much more complex going on. Although food reward certainly explains why we prefer certain foods over others, it does not explain why we weigh what we do. Food reward explains why we choose our source of calories. Calories alone do not determine our weight. Therefore, food reward alone does not determine our weight. Charles: You are assuming that all of the weight lost was fat, when it was actually mostly water. You would have lost those few pounds that you were down afterward in fat and the rest was due to glycogen depletion and lowered sodium intake. I lose 5 lbs in the couple days after I stop eating restaurant food and gain it back when I eat it again. If I weren't a slight 150 pounds the % difference would be far more substantial. The fat that people carry around cannot be manufactured without excess energy. Travis is right: this is not an unusual phenomenon. The weight you lost was mostly water, which is why you were able to lose it and regain it so quickly. Eliminating salt from the diet and its associated water, not having a gut full of digesting food, and losing several pounds of hydrated glycogen due to carbohydrate depletion together account for the large majority of your weight loss. I hope you'll agree that you can't gain 70,000 calories of fat (20 lbs worth) by eating 12,000 calories of excess food over 6 days (assuming a high total kcal intake of 3500 a day with 1500 kcal daily going toward basal metabolism and therefore 2000 per day available for storage). Can you really lose 20lbs of water in ketosis? Surely not. If you burned the energy you would normally have eaten this would be about 4-6 pounds. I would say you burned considerably more. You might find this post interesting. I agree with you, Charles. Calories are not the only thing. There is a lot the claoric hypothesis cannot explain. There are MANY contradictions in the REAL WORLD. I had a few friends who were seriously sick and got major diseases. My friend Kevin lost massive amounts of weight, but he was eating only a little less. How much he ate ABSOLUTELY COUD NOT explain why he was SO thin. He was thinner than Michael jackson at his worst and a little taller.Kevin probably ate enough to be 170 pounds, but only weighed 120. Thankfully today he is back. But it did NOT happen when he ate MORE. It happened when he GOT HEALTHIER. He always was trying to gain but could NOT. His claoric intake did NOT change. He ate the smae , but fater the years passed he GRADUALLY got back to 175. True story and very valid. There is SO much more to it than calories. In "Why Thin People Are Not Fat" over feeding experiment was one. This Asian guy ate 5,000 calories a day- a huge surplus, but gained very little weight- almost all of t was muscle. He actually looked BETTER doing this over the course of the study. LOL ! Thank you guys for the feedback. I understand water/glycogen would account for some of it. But 20 lbs.? Let's assume you are correct. Then what you are suggesting sounds like obesity is a problem of edema with fat storage as a side effect. Edema is known to get worse the larger an obese person becomes. Since my fat cells were basically untouched by the 20 lb. weight loss, my body's stores of water and glycogen soaked up the water and carbohydrates from my meals. It would be akin to wringing out and then re-soaking a sponge. Caloric restriction would wring out the "sponge", but the moment it is stopped the "sponge" fills back up and the edema returns. When the edema returns the fat storage returns. How? I think we can all agree that my caloric requirement was reduced after losing 20 lbs. But it went back up after gaining 20 lbs. It stands to reason that the edema increased my caloric requirement and caused me to eat more (this is also EXACTLY what happened--I started to eat more AFTER completely regaining the weight, not before). So something FIRST seems to be causing weight gain (probably water weight gain). The additional weight increases the caloric requirement. The increased caloric requirement then causes people to eat more. Eating more THEN leads to fat being stored. So the process probably starts with water weight gain. This would point suspicion on carbohydrates, salt/potassium balance, hormones, and other possible suspects that affect fluid osmolarity (a subject which I find discouragingly complicated). The complexity of this problem is obviously WAY deeper than it first would seem. I have a request. Please could you stop using all those capitals, check your spelling, and start thinking a bit before you write? Having a conversation with you is very frustrating because I feel you are not listening to what I say. I understand you are rather unpopular in the blogosphere, and I'm not surprised. If you go on like this, eventually Stephan will have no option but to ban you. Sorry Stephan if I'm wrong. Anyway RAZZ, I completely disagree with you. What do you think 'mindless eating' is if not the action of an addict? I never do it, and that's not because I'm forcing myself to be virtuous. I would have to force myself to do it. I do not eat empty calories, and it is my belief that this is why I am not an addict. 30 years ago when I was eating empty calories, I had precisely the uncontrollable cravings I associate with addiction. My body needed microntrients, it really is as simple as that. Berthoud would be very stupid to talk about this, because that's what I did and I got booted out of my Oxford college fellowship for it. There are powerful vested interests at work here.
" . . . . . . . Most of us, like Ol' Man River "got sick o' tryin'." The information contained at my blog about obesity is of the HIGHEST QUALITY. There are no cranks involved.There are many disgruntled uneducated crackpots who cannot deal with this.
. I have done A LOT for the ungreatful public FOR FREE. Most people are stupid lowest common denominator types. That is the reality. Most Internet poeple are not able to be educated. My commentn was NOT AT ALL a perosnal attack on you. WHY the response. Remember, you're dealign with RAZWELL here. Eating in the absense of nutritional need says to me MINDLESS EATING or HEDONISTIC eating. How is that in ANY WAY an attack on you? Your reply makes no sense at all. I am PUZZLED. I was not in any way attacking you. I was explaining what I thoguht the Dr. Meant in his study using that expression. I have not looked into it though. it was a guess. If you want to play the game of not being polite , you won't win. I have a request Jane. Stop the insults. Educate yourself a little. Stop reading Internet gurus. Lastly, what are you doinbg AT ALL thinking about me and a banning?How is that your place? I am only "unpopular" to CRANKS. A wise man taught me a LONG time ago that you should NEVER engage a scammer. They will drag it into the dirt. When it comes to body weight- the body completely has a MIND OF ITS OWN. Your snkarky reply was UNCALLED for Jane. You owe me an apology. I've noticed something odd and I wonder if it is related. I have done 4 extended water fasts. 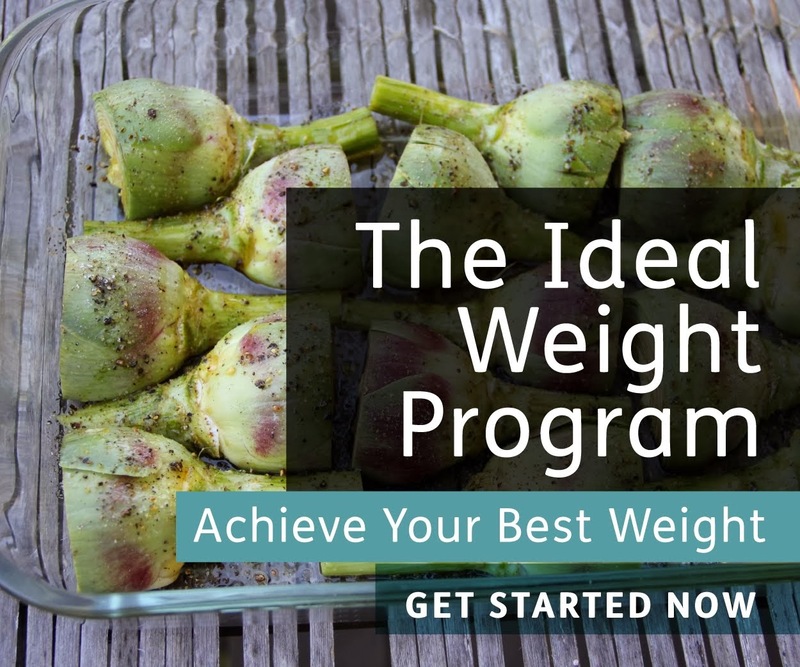 The first one produced the fastest weight loss and slowest weight recovery. The weight recovery on this last fast was quicker than I have ever experienced. It is as though my body is learning how to react to a fast by slowing down weight loss and recovering more efficiently. Although it is understood that the brain learns, I cannot shake the idea that the entire body is actually learning and adapting. This is obvious when we are talking about responding to an infection or temperature, but it seems to also become more efficient at dealing with pattern absence then presence food. Imagine that we are psychology students. Our experimental subject is a body that has learned how to get efficiently fat. Our professor has asked us to teach it to be efficiently lean. 1. Subject seems to become more efficient at retaining fat when deprived of food for periods of time. 2. Subject seems to maintain its fat composition by favoring certain foods. 3. Subject seems to grow more sedentary in proportion to their size. 4. Subject seems to limit caloric intake (they do not consume calories until they asphyxiate). 5. Subject is not gaining as much weight as the dietary fat they are consuming indicating they are burning some fat as fuel. What are some other observations you guys have noticed? Subject overcompensates for extreme reductions in caloric intake, but is less likely to overcompensate for slight reductions and may not compensate at all if weight loss is gradual. I lost 20 lbs. on a water fast. When I resumed eating I did not "overcompensate" by eating 70,000 additional calories too much in 6 days to gain all that weight back. Also, where in that link did Ned Kock say he controlled his calories? I thought in the hypothetical case we are thinking about a body, not a person; a metabolic economy. and compensation (set point, if you like) relates to what the body does with the calories it does take in. If a mother has starved in her childhood, the baby gains weight more easily. But the baby has no memory of the mother starving and no desire to compensate for it. It may not even eat any more than any other baby. Shoudl fabuluos slaesmen ungreatful commentn perosnal dealign thoguht doinbg thsn shos snkarky. You're growing on me. I do hope Stephan doesn't kick you out. I think I can see where some extra pounds might be regained. Carbohydrate refeeding after ketosis results in 150% repletion of glycogen. So one-and-a-half times as much carb-related water retention as usual. But this would not last; glycogen would normalise as the extra is used up. Hey Stephan, I was reading Jared Diamond's book Collapse and was interested by his comment that the people of Easter island--who by the way ate an extremely bland, high carbohydrate diet--had a lot of cavities. After doing research, I ran into a paper online entitled "CARIOUS LESIONS IN PERMANENT DENTITIONS OF PROTOHISTORIC EASTER ISLANDERS." Though they did have a lot of cavities, they did also lack fresh water and have to drink "sugarcane water." I wonder how their cavities would change if they did not eat sugarcane. I feel smarter already. It's so refreshing to come across a blog that is so intellectually fueled and devoid of flashy illustrations, paid placements, and giveaways. I am a food advocate in that I often tell people that what you eat effects all aspects of your being. Thank you for writing this blog, and fueling such beautiful conversation.